A master-planned community of 3,100 acres of serene, natural beauty ensures an exciting, but relaxing lifestyle without leaving home. Designed for those looking for more than just a home, The Highlands is a well planned community of individual neighborhoods comprised of beautifully crafted homes on natural buffered sites. The layout nurtures a sense of quiet privacy while enhancing the peaceful, cozy feeling of a small community. New homesites are now available ranging from 1 to 5 acres. Crafted by the area’s finest custom builders, home designs are varied and impressive. For the homeowner who still insists on old fashioned quality yet desires the latest trends and amenities, The Highlands are creating homes residents dream of…homes they thought they could only imagine. Reside in Chesterfield’s Premiere Golf Course Community; second to none and all you deserve. The Golf Course at The Highlands is now accepting public play with the option for membership. 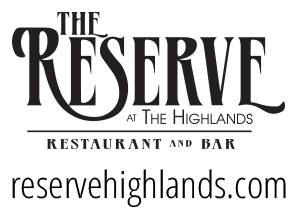 at The Highlands – Now Selling Lots!